It doesn’t matter what corner of the world that you visit, each has its own unique legends and mysteries concerning strange sightings of a variety of creatures. Now wild marijuana is not considered to be a creature, just like the Yeti, there are reports of sightings of the “Albino Weed” that have many serious weed smokers in a complete frenzy. Now while this strain of marijuana does not rank up there with giant mushrooms or man-eating plants, this legendary plant has a mysterious aura about it that really has gotten some incredible attention lately. Like testimonials about aliens, Bigfoot, or mermaids, some people claim to have come across the most rare of all weed blends, the albino weed. Whether you have been smoking weed your whole life or you are just now getting into this amazing lifestyle, chances are pretty good that you have heard the legendary stories about the strain white widow. If you have not, then pay very close attention to what we are about to tell you. The legend goes something like this, the white widow strain is so strong and so resilient that it easily grows in the dark sewers under New York City. 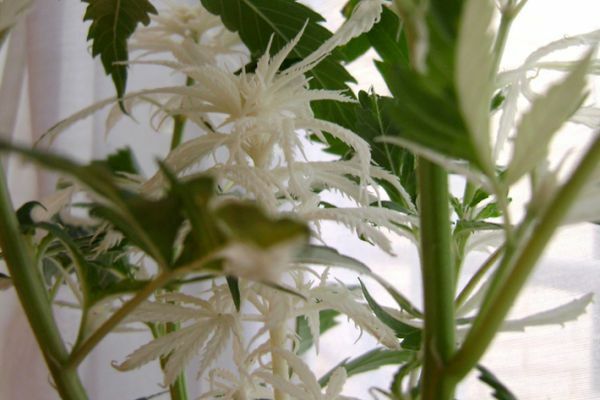 Also known as the albino weed, this mysterious weed strain has the ability to grow to over 12 feet in height and was discovered by accident when NYC sewer workers were cleaning out a clogged section of the cities system. The story goes on the say the weed must have been flushed in an attempt to avoid arrest from the cops, and the albino weed found a way to thrive in the most unaccommodating conditions. So the legend of the albino weed really does have some basis is truth. Each year, millions of people are flushing seeds down the toilet to avoid detection. Whether hiding it from the police, parents, or significant other, the evidence of having weed can quickly be disposed of by just dropping in the toilet and flushing them away. The environment which those seeds wind up is quite ideal if you think about it. There is plenty of water, plenty of fertilizer, and nothing to stop the growth of the plants. The only real issue is the complete darkness, something most plants can not survive. 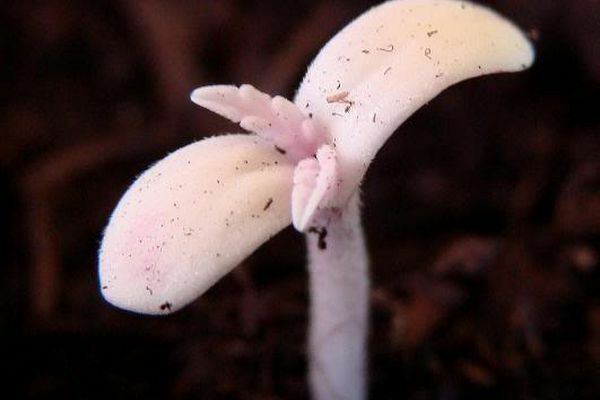 The albino weed is not only resilient, it learned to quickly adapt to the new environment, managing to grow even without any sunlight. The results of thriving without light caused the plant to take on an entirely new appearance, and the white weed was born. If you have been exposed to weed in any degree, then you know that marijuana is a very versatile plant, and can grow in a number of adverse conditions, like indoor and outdoor growing and grow tents. One of those conditions however that it can not thrive, complete darkness like in a cave with zero light. In order for any plant to grow, it must have some source of direct light or it will die. The marijuana plant in particular not only needs light to grow, it needs an abundance of it. There really is no way that a plant can somehow change its fundamental cell composition into that the fungus by taking away the light source. As we look closer at the albino weed and its unique features, the white appearance can be attributed to something more natural than it becoming a monster hybrid from years of living in the sewer. The weed has trichomes on the outer surface that glisten, this is where the term frost nugs comes from. In reality, the proliferate coating of the white trichomes is where the albino weed gets its unique feature. So the stories about the albino weed growing in the dark cave-like sewers of New York City are in fact busted, just like the videos of spacecrafts dangling in front of a video camera by a string. Although the story about the weed thriving and becoming monstrous in size in the sewers is a fun legend to talk about, this strain of weed actually does exist with much less of a back story. The marijuana can be grown in a particular way to alter the pigmentation of the plant. The truth of the albino weed is that when a marijuana plant is exposed to too much light, the plant takes on a white appearance. So similar to how a person’s hair will lighten from overexposure to the sun, the same happens when the marijuana gets too much direct light. When the plant is too close to the light source, just like human hair, the plant will beach out, resulting in the leaves and buds turning white. The bad news is that the white color is a result of too much light, and then destroys the trichomes that hold the sweet nectar THC. To bleach the plant and kill the THC is counterproductive to the whole weed smoking experience. That being said, some growers have been able to harvest their crops when the weed has a milky white trichomes effect, this usually occurs when the strain is in between clear and amber. If you think that you can ramp up your light source to create the albino weed, you better have a monster stash on hand because you are killing the powerful THC in the plant and reducing the potency. 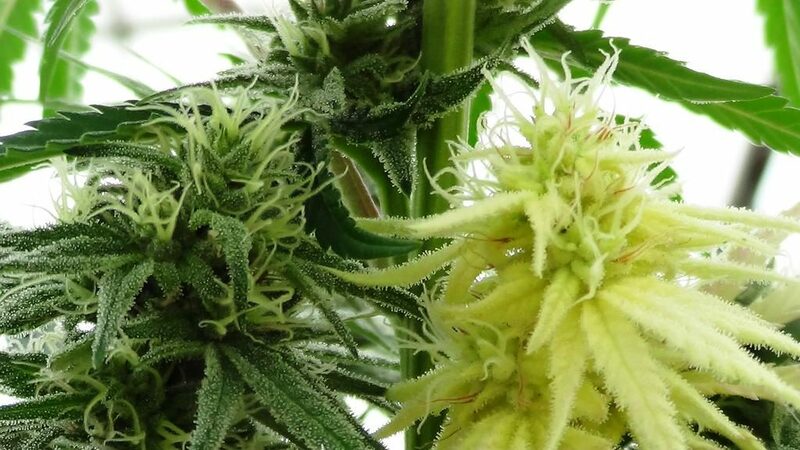 Professional growers have been able to cultivate certain blends in a way that right at a particular time between the buds going from clear to amber, they take on a brief period where they are white in color. To harvest this strain at that moment is challenging, but it can be achieved. For those mere mortals who want to try and grow the albino weed themselves, there is a method to the madness. Grow your weed as you normally would, but pay very close attention to the flowering cycle. As this cycle comes to its end, there is a brief period where the buds will begin bleaching. 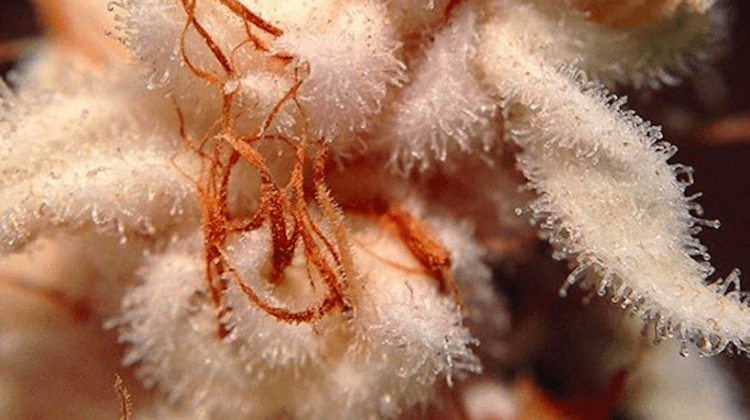 When the flowering cycle is just beginning to end, the trichomes are still in abundance in the plant although they are going to start diminishing. The window of opportunity is small, but it is possible if you are persistence and patient. 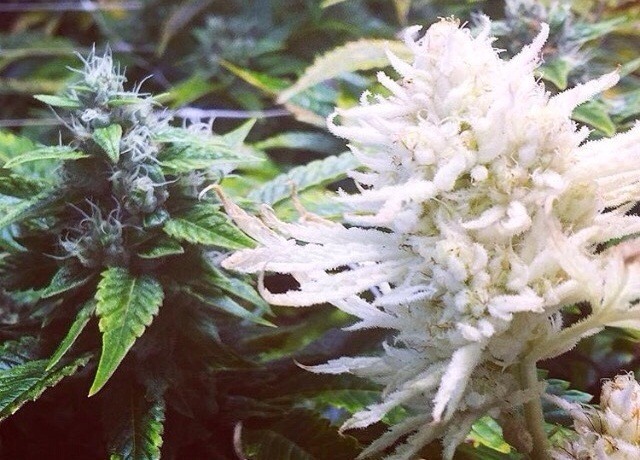 So now you know all about the legend of the albino weed. Unlike the Yeti or his southern cousin the Bigfoot, there are many sightings of this plant, the story of how it came about are the only real fabrication. The albino weed is a natural occurring process in the marijuana plant that gives it that unique appearance but don’t get fooled into paying too much a price to see this freak of nature. In most cases it lacks taste and the potency to get you high, unless you happen to stumble on the rare strain that was picked right at the moment the color faded and the THC was still in abundance. That my friend is where the true mystery of this legend lives.